This is a one-stop real estate website for all your home buying and selling needs in St Pete Beach, FL. Contact us if you'd like more information on finding your dream home or preparing to sell your home. Buying and selling property is a stressful task. In fact, it's often the biggest single investment you will make in a lifetime. At the same time, real estate transactions have become increasingly complicated. New laws, technology and increasing sophistication of buyers and sellers require real estate practitioners to perform at an ever increasing level of professionalism. Carol and Chris are the best and the brightest in the real estate industry. They are nationally recognized as top performers, are professionally trained and are knowledgeable agents. They are dedicated to bringing you quality service. A rare combination of experience and education makes this team stand out in a crowd. 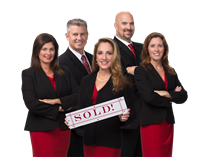 It's the abilities of this "best in the business" team to make a real difference in the purchase or sale of your home. Discover the difference for yourself. And discover how enjoyable and successful a real estate relationship can be.